to reach new heights at the dawn of the 21st Century. Bud Selig shepherded the game through one of its darkest hours--the cancellation of the 1994 World Series--into an era that saw unprecedented popularity and revenue for baseball. Meanwhile, Theo Epstein helped the Boston Red Sox reach the promise land for the first time in 86 years. And then he topped that by producing the Cubs' first World Series title in 108 years. The first Jewish commissioner and when he retired in 2014, the longest serving in baseball history. The long-time owner of the Milwaukee Brewers, Selig had an eventful tenure in reshaping the game. He overcame the effects of a disastrous lockout that wiped out the 1994 World Series. He helped bring in the wild-card format, revamped the All-Star Game, and made other progressive changes. It all led to a period of unprecedented growth and income for MLB. His work was rewarded with his 2017 induction into the Hall of Fame. At age 28, Epstein became the youngest general manager in baseball history when Boston hired him in 2002. The Yale graduate quickly showed his ability to evaluate talent by signing David Ortiz, who had been discarded by Minnesota. Epstein’s other moves led to the Red Sox winning the 2004 World Series, their first title in 86 years. Then with the addition of players acquired by Epstein, the Red Sox won a second championship in 2007. Epstein moved on to become president of the Cubs after the 2011 season. Once again, he worked his magic, as the Cubs ended 108 years of frustration by winning the 2016 World Series. 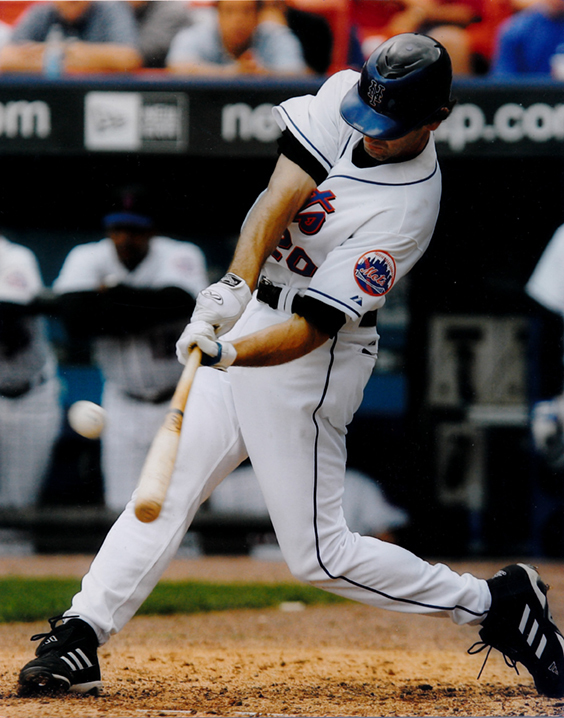 The Milwaukee slugger exploded onto the scene, winning National League Rookie of the Year in 2007. He only got better, and was named the NL MVP in 2011. However, his image was severely tarnished when he was suspended for using PEDs in 2013. Since then, he has battled to repair his reputation. In 2015, he was named to the NL All-Star team. A power hitter with several big years for the Blue Jays and Dodgers, Green finished his career with 328 homers. He had a historic day at the plate on May 23, 2002 when the Dodgers met Milwaukee. Green slugged four homers and set a major-league record with 19 total bases. He was a star infielder for two Boston World Series teams. In 2007, he finished third in AL MVP voting with 29 homers and 115 RBIs. With a distinctive batting style and fans chanting “Yooook” throughout Fenway Park, he became one of the most popular players in Boston history. Kinsler combines power and speed to make him an offensive force as a second-baseman. He had a career-high 32 homers with the Texas Rangers in 2011. Traded to Detroit in 2014, he continues to excel as one of the game’s most consistent players. Born to a Jewish mother, Amaro went from being a Phillies bat boy to spending eight seasons in the big leagues as an outfielder, mostly for the Phillies. He went on to serve as the Phillies’ GM from 2008 to 2015. They won the National League East three times during the first three years of his tenure and went to the 2009 World Series. He enjoyed a solid 14-year career as a catcher for the Phillies. A two-time All-Star, he hit a career-high .313 in 2003. A standout catcher for Houston and Detroit, he lasted 18 years in the big leagues. Ausmus now is the manager of the Detroit Tigers. The Dodgers’ outfielder served notice as one of the game’s rising stars in 2015. He became only the third rookie to hit 20 homers by the All-Star break. 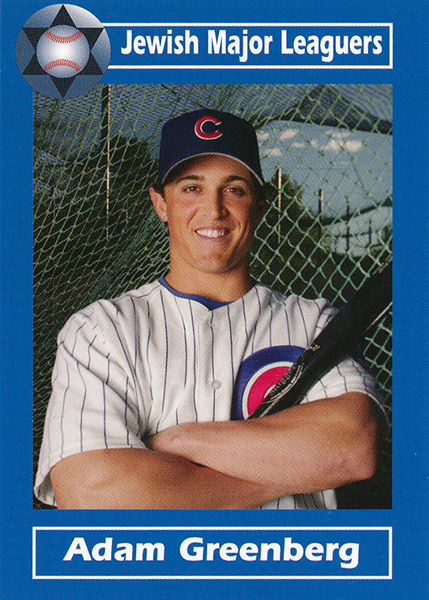 He was the National League’s starting left fielder in the All-Star Game. He has been a reliable starter for several teams, including the Cardinals and Cubs. He appeared in 2004 World Series for St. Louis. A symbol of futility and heartbreak. After spending years in the minors, he got hit in the head in his Major League debut. It was his only plate appearance for Cubs. Seven years later, a campaign was organized to get him another at bat. He got his chance with Miami during the last game of the season in 2012. Enjoyed a 12-year career as a key role player for several teams. Recorded a 28-game hitting streak for Texas in 2000. Baseball is clearly, by any definition, a social institution. And, so the progress that we’ve seen, is it perfect? No, but life is not perfect, and society certainly isn’t perfect. But what we’ve seen is really encouraging. And that’s a great compliment to baseball and American society in every way. (Selig’s changes) have left a lasting impact on baseball, most importantly for the fans of this great game. At his heart, Bud is a baseball fan, and that perspective has driven all he has done during his time as Commissioner. That is his legacy. When I got to Boston, they hadn't won in 86 years. We didn't run from that challenge. We embraced it. We decided the way to attack it was to build the best baseball operation that we could, to try to establish a winning culture. After serving on an acting basis since 1992, Bud Selig officially becomes the ninth commissioner of baseball. The Dodgers’ Shawn Green has a day for the ages. He hits four homers and sets a record with 19 total bases in a game at Milwaukee. 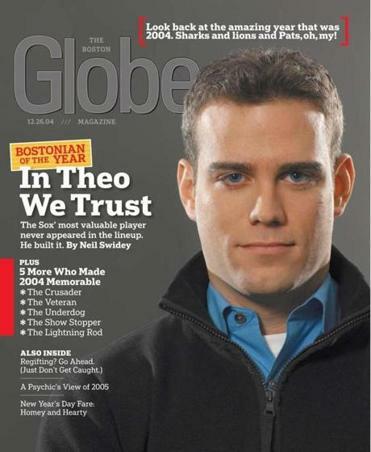 Theo Epstein, at age 28, is named general manager of the Red Sox. The Cubs’ Adam Greenberg is hit in the head on the first pitch of his first big-league game. The Astros’ Brad Ausmus, who hit only three homers during the regular season, smacks a solo shot in the ninth to tie the game against Atlanta at 6-6. Houston eventually wins 7-6 in 18 innings. White Sox owner Jerry Reinsdorf achieves a life-long dream by winning the World Series. 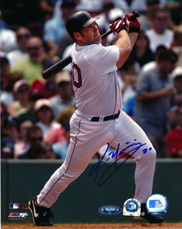 Kevin Youkilis hits a dramatic two-run, two-out homer in the ninth to give Red Sox 3-2 win over Detroit. Ryan Braun hits his first homer in second big league game. Kevin Youkilis sets a major-league record by playing in his 184th consecutive game without making an error at first base. He eventually handled 2,002 straight chances — a major-league record for any position — stretching 238 games. Ryan Braun joins Hank Greenberg, Al Rosen and Sandy Koufax as the fourth Jewish player to win the MVP award. Ian Kinsler of the Texas Rangers becomes the first major-leaguer to hit leadoff home runs in his team’s first two games of the season. As a rookie, the Dodgers’ Joc Pederson is the starting left fielder for the National League in the All-Star Game. Major League Baseball revenue went up 400 percent during Bud Selig’s tenure as commissioner. Kevin Youkilis had a career .382 on-base percentage. 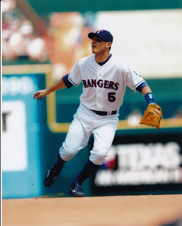 Twice, Ian Kinsler had seasons in which he hit 30 homers and stole 30 bases. In 2009, he had 31 HRs and 31 steals; in 2011, he had 32 HRs and 30 SBs. In 2015, Joc Pederson of the Los Angeles Dodgers joined Al Rosen and Ryan Braun among the 56 major-league players who have hit 25 or more home runs in their rookie seasons.